Hal has big plans for the summer. Plans that involve sleeping late and getting to level 15 on RavenCave. will be coming out in Australia...the answer is...November 3rd, 2014!! Read all about it on our Australian publisher's website! Kids and librarians loved the first Cartboy. 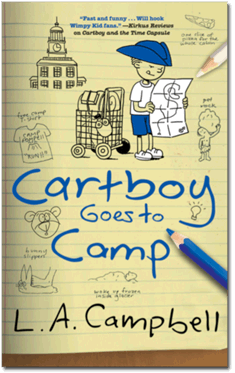 © 2013-2014 L.A. Campbell lac@LACampbellwriter.com website by canopy studios inc.